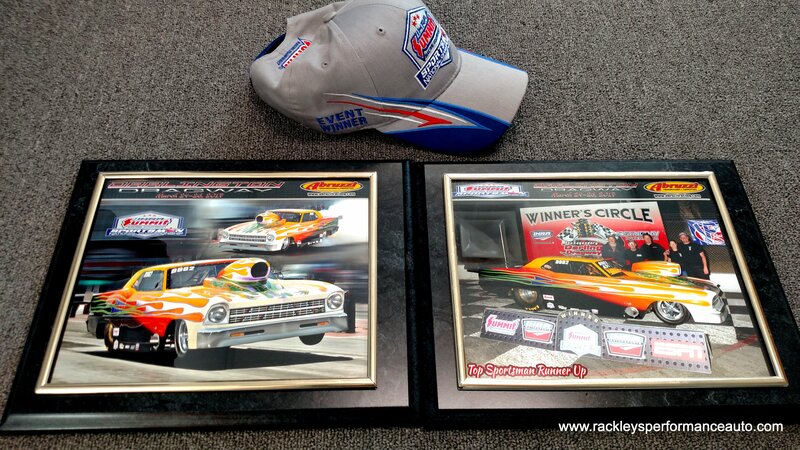 If you’re following us on Facebook you may have heard Rackley’s Performance and Auto Racing Team took Top Sportsman Runner Up at the IHRA Summit Sportsman National Championship at Darlington Raceway in South Carolina. We are honored to have made it to the finals! You can check out the race on Friday where Rackley’s Racing team was runner up! If you’re in a hurry you can skip ahead to 50:00 for round 1, 217.07 for round 2, 291.45 for round 3 and 350.00 for round 4 where David Rackley beats the IHRA World Champion during the Semi Finalist round! If you want to see the rest of the full weekend race. Check out ESPN 3 Replay. It does require a provider login to watch. We appreciate all your support for Rackley’s racing team as well as our shop!